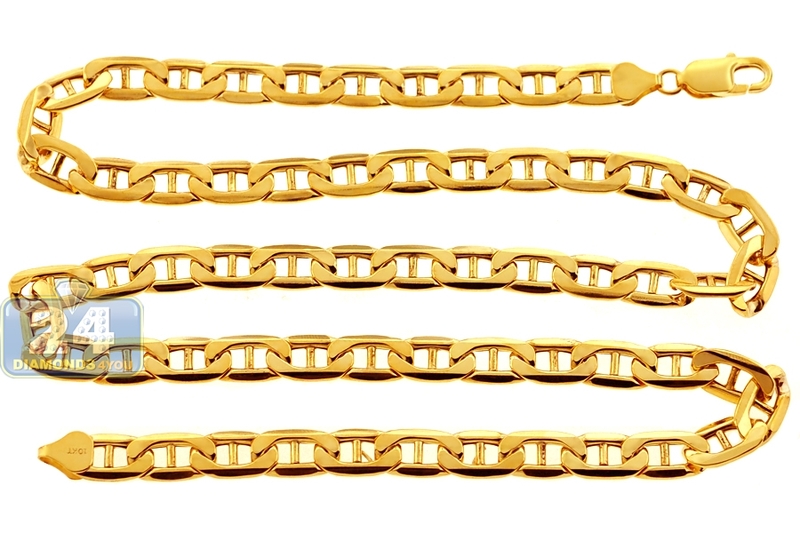 Our incredible mariner link chain goes with almost anything - from a white t-shirt to a royal-blue suit! 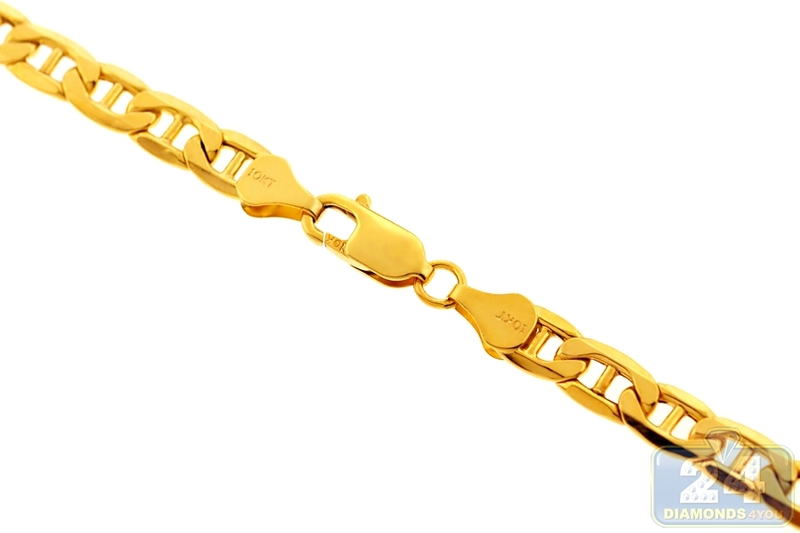 It is ably created from Italian 10k yellow gold, and highly polished for ultra smooth finish and outstanding glitter. 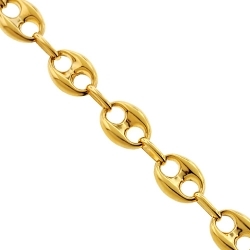 The 10k yellow gold necklace features 8 mm in width, and is available in 24, 26, 28, 30 or 32 inches in length. It is also secured by the safest lobster claw closure. 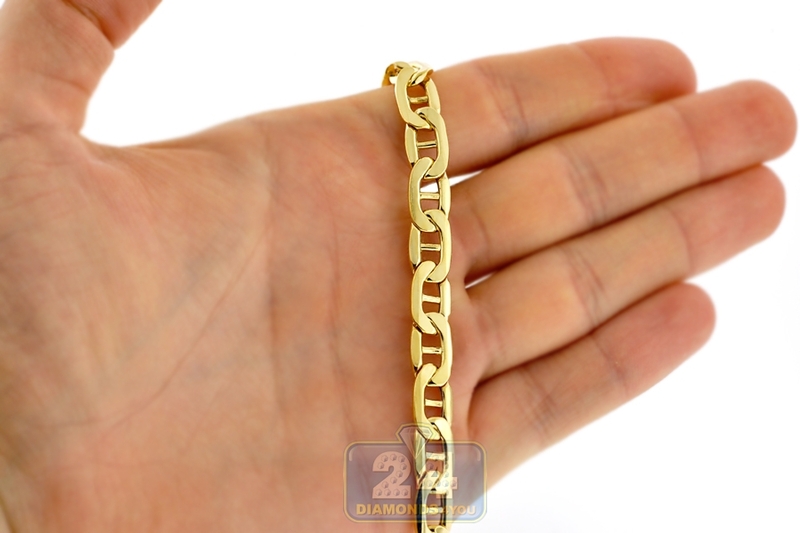 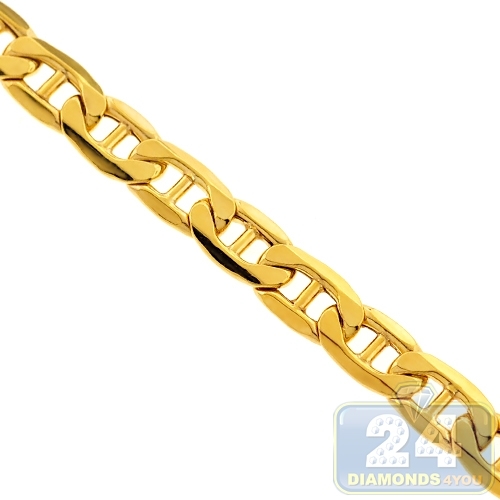 Add a touch of style with this men's gold chain!